Last week's Retail Review was completely disappointing as I believe I received a tampered blaster. There were many signs pointing to the fact that it was messed with by some unscrupulous person. This week I'm going with the same product, but with the official Panini wrap and logos on it. I'm really hoping for a better result than the last time. 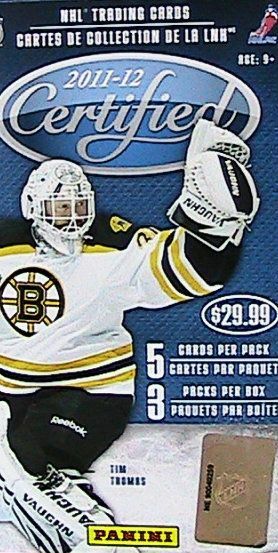 I think even getting just a plain old jersey card would be nice considering last week's debacle. These Certified blasters are guaranteed to have a hit in them, so this one better have a hit! Especially since it has the correct wrap around it! Last week's break has definitely made me temper my expectations a bit in terms of what to expect. It sucked, but was a good life lesson, I guess. It makes me really check carefully what I am buying before getting into it. Alright... much better! This is definitely one of the better blasters I have opened. When I first opened the blaster I was a bit nervous as all three packs didn't look like it had a hit in it. Usually one of the packs is a little fatter because of the jersey card within it. I was pleasantly surprised that my hit turned out to be a pretty sweet low numbered autograph of a respected player. I didn't get any inserts this time, but there was a mirror blue parallel card that showed up. This blaster didn't particularly come with a good selection of base cards. 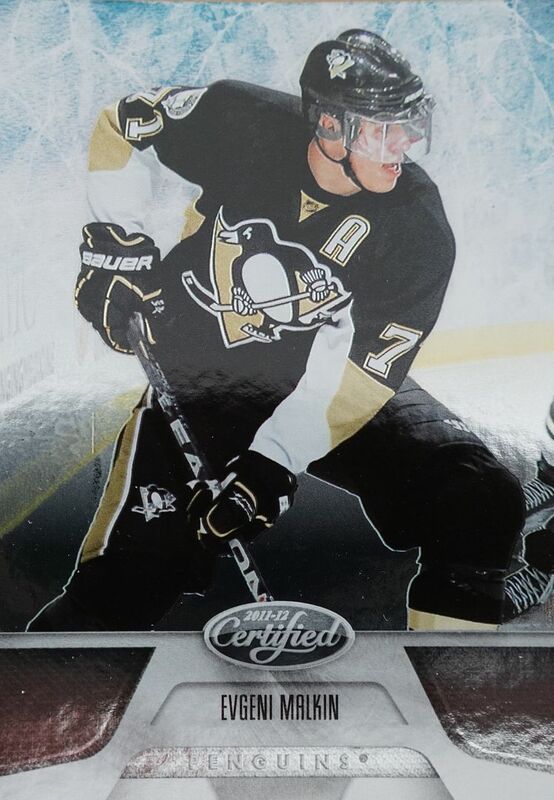 Malkin was probably the best of the bunch. 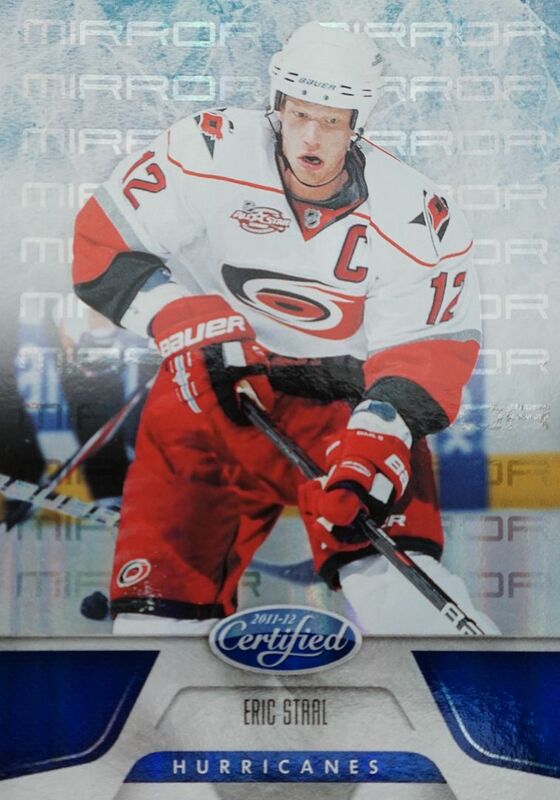 This mirror blue parallel card of Eric Staal is numbered to just 99 copies. Staal has moderate hobby interest, but that's better than your run of the mill card, so I'm decently happy here with this card. Wow, this mirror gold autographed card of Daniel Alfredsson is pretty awesome. It's definitely not a card that I would be searching for per se, but I really do like this hit quite a bit. 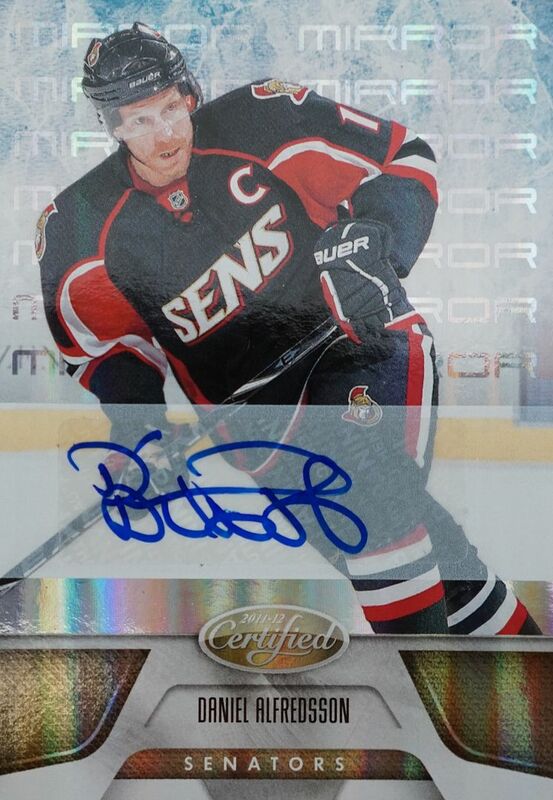 Alfredsson was one of the most respected players in the game, and I'm very happy to have his mirror gold auto! This was a great blaster. It's the kind of blaster I'm hoping to get when I purchase one. The hit maybe wasn't worth a huge dollar amount, but it is a very solid card to find in retail. I'm really glad this blaster turned out to be winner after what happened a week ago. Faith is restored in Certified! 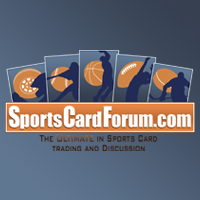 Let me know what you thought of my 11/12 Panini Certified blaster box down in the comments below. 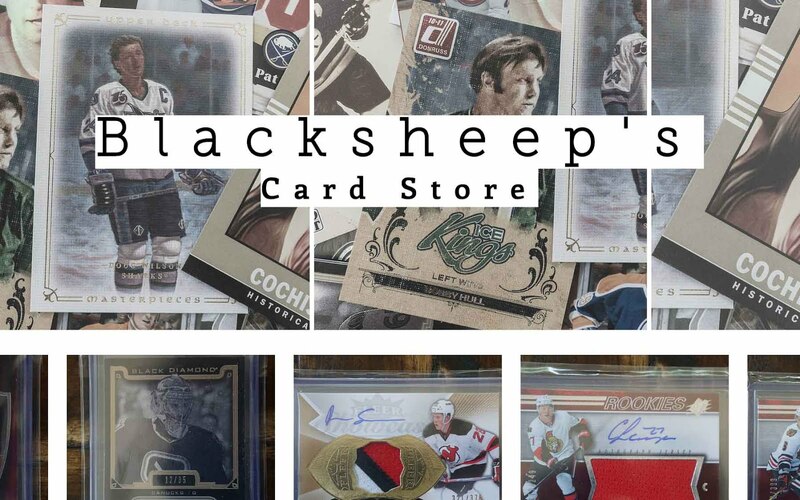 Have you ever gotten anything good from a Certified blaster? I'd love to know! 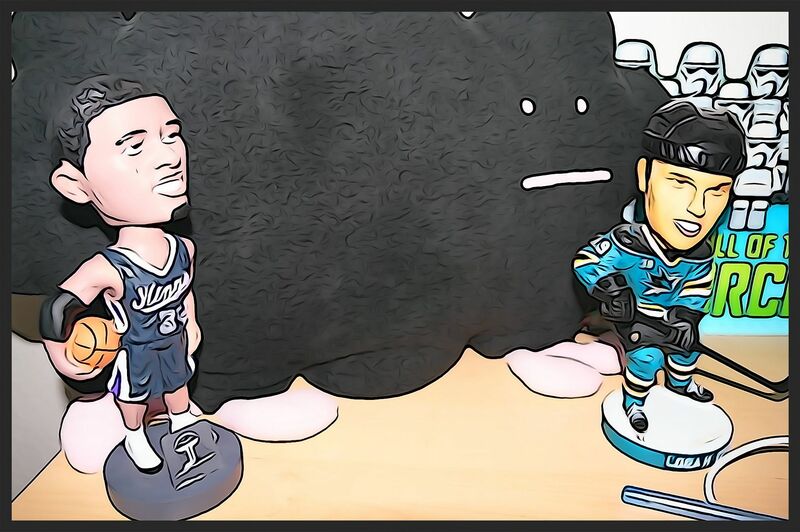 Every Sunday look out for another exciting installment of Retail Review! Nice break! I pulled a Thomas Vanek gold signature /25 before, and a Doug Gilmour Private Signings card.